Michigan Medicine continues to provide various outreach programs and reduced-fee services to our communities. However, the Health System provides several more programs and services that benefit the community, such as those listed below. This section includes non-traditional community benefits typically reported in the Michigan Medicine response to the Michigan Hospital Association’s annual community benefits survey. If you are a Michigan Medicine faculty or staff member, and would like your community-facing programs and services listed here, please contact theOffice of Community Benefit and Community Health Assessment. The Health System provides information to the community regarding health topics in a variety of telephone help lines. The Cancer AnswerLine is staffed by experienced oncology nurses who combine knowledge and compassion to provide personalized answers to each caller’s questions. The nurses offer information on the entire spectrum of cancer issues including prevention, risk reduction, warning signs, detection methods, treatment options, clinical trials, support services, provider referrals and appointment scheduling. The Health System is involved in a number of education and outreach events aimed at raising awareness and support for cancer. A speaker’s bureau is provided free of charge to various schools, service agencies, businesses and support groups in the community. 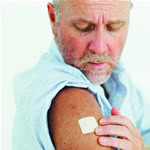 A free community event called “Survivor’s Day” is aimed at celebrating life with a focus on cancer survivorship issues. The Rogel Cancer Center sponsors many educational talks, including “Cancer Answer Nights” in various locations throughout the community, distributes free educational materials and brochures to the community, and provides useful information about cancer on its Web site. The Health System’s Maternal and Infant Support Services Program provides community-based prenatal and post-natal care services to Medicaid-eligible women identified with high risk medical and psycho-social needs. Services include assessments and provision of needed care and childbirth education classes in English and Spanish. Also, support is provided through the child’s first year of life. In FY17, Michigan Medicine MIHP served 437 persons. MHealthy is the University of Michigan’s Health & Well-being program for U-M faculty, staff, dependents, retirees and members of the surrounding community. Our mission is to create a model community of health where people thrive. MHealthy’s wellness and health risk reduction programs are open to the community and include exercise classes, cooking classes, baby care classes, tobacco cessation, and alcohol management. Every day the Health System provides two nutritious meals to 461 Ann Arbor homebound seniors or frail individuals through its Meals on Wheels program. Meals are prepared in the main kitchen of the University of Michigan Hospital and delivered to recipients by community volunteers. In FY 2018 over 128,000 meals were delivered to our community. Recognizing the disproportionate high rates of mortality and morbidity among underserved multicultural populations, the Program for Multicultural Health was established in 1993 to play a vital role toward improving the accessibility and use of quality health care for these diverse populations. Efforts have been focused in three major areas: providing cultural competency training to health care providers and students; working with community organizations to implement culturally-specific health promotional activities and health screenings; and developing and distributing culturally-oriented health educational materials to the entire community in order to enhance the knowledge and empowerment of individual health care management. The program has been recognized by local residents and nationally acclaimed health professionals for its innovative approaches to improving the health status of underserved ethnic and racial groups through the integration of cultural considerations with clinical health care practices. Project Healthy Schools is a Community-University of Michigan collaboration designed to reduce childhood obesity and improve the current and future health of Michigan’s youth. It is one of only a few school-based programs that have demonstrated significant and lasting improvements in health behavior and cardiovascular risk factors. Through education and wellness activities, Project Healthy Schools enables middle school students to increase physical activity, eat healthier, and understand how nutrition and activity influence their lifelong health. In addition, once implemented in a school, the program continues year after year, benefitting future generations of students. TheMHealthy Tobacco Consultation Service (TCS) is dedicated to reducing the number of tobacco users in the community, thus improving the community’s overall health. The program provides inpatient bedside counseling for all identified tobacco users admitted to University Hospital and Women’s Hospital. Counseling regarding environmental tobacco smoke exposure also is provided for family members of patients admitted to C.S. Mott Children’s Hospital. In addition, TCS provides outpatient tobacco treatment services for adults receiving care through Michigan Medicine. , There is also telephone consultation available for individuals unable to attend outpatient services. 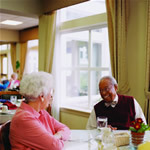 The Turner Geriatric Center provides many education and support events for seniors, including the Turner Senior Resource Center, Silver Club Memory Loss program, computer classes, social events, in-home counseling, support groups, health screenings, and information and referral to community organizations. The University Health System, through the Michigan Institute for Clinical & Health Research, provides UMClinicalStudies.org (UMCS), a website created as a place to connect you to health research. UMClinicalStudies.org was created to help the community learn about and connect with clinical and health trials taking place at the University of Michigan. The goal of UMCS is to inform and share information about clinical and health research. UMCS is staffed by caring people that are available to answer your questions, and help connect you to a study through their website, toll free phone line or e-mail. The Health System is committed to giving back to the community by supporting the many organizations that are already working diligently to improve community health. As such, we provide services and staff to organizations and events including the American Heart Walk, the American Cancer Society, the Hemophilia Foundation of Michigan, the March of Dimes, the Juvenile Diabetes Foundation, the American Diabetes Association and the United Way. In addition, we donate medical support and supplies to community clinics and organizations. The UMHS Community Health Services department is the health system’s “home base” for many community outreach programs. Programs administered through this office include Meals on Wheels, Housing Bureau for Seniors, Regional Alliance for Healthy Schools, Interpreter Services, Comprehensive Gender Services and the Program for Multicultural Health. Additionally, staff that lead UMHS in the completion of its Community Health Needs Assessment and Implementation Plan and that coordinate Community Benefit reporting also reside within the department.